Zinc Smelter Debari is a Hydrometallurgical zinc smelter situated at Debari, about 13 kms from Udaipur, in Rajasthan, India. The primary product of Debari is High Grade (HG) zinc and it also recovers cadmium as by-product. The smelter has zinc production capacity of 88,000 MT per annum. In the year ended March 2018, it produced 76,979 MT of zinc. Zinc Smelter Debari was commissioned in the year 1968 with an initial production capacity of 18,000 tonnes per annum of zinc. 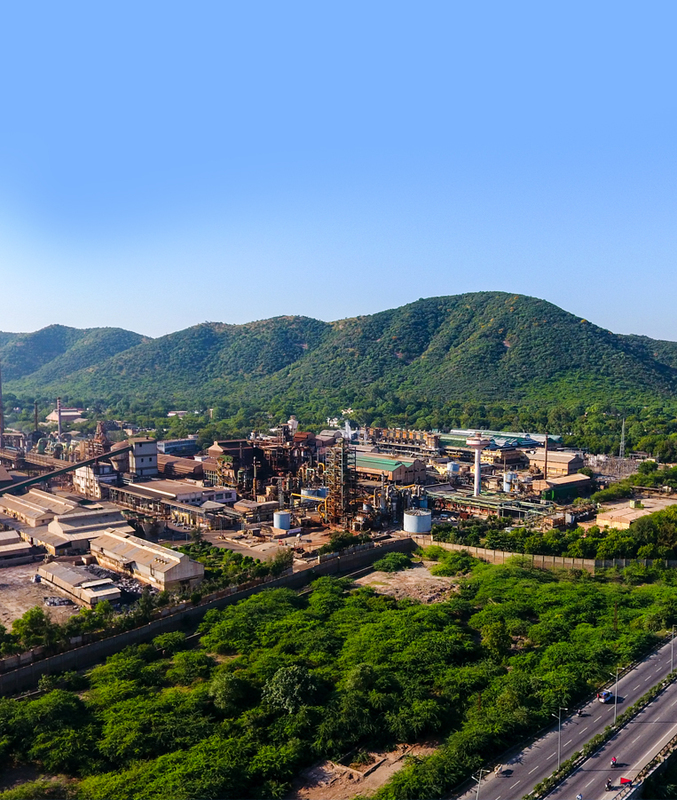 In the past several years the capacity of the smelter has been expanded five folds to its current production capacity of 88,000 tonnes per annum of zinc. Zinc Smelter Debari employs Roast Leach Electro-winning Technology at its Hydro metallurgical zinc smelter. The plant has three roasting facilities, leaching and purification section, electrolysis and melting and casting sections. It produces surplus calcine, an intermediate product, which is supplied to the rest of the Hydro metallurgical zinc smelters. Zinc Smelter Debari also has 14.81 MW captive power plants (Diesel Generation units) to supply the power requirements for its metallurgical operations; it also sources additional power requirements from our captive thermal power plants located at Chanderiya and at Zawar. It also has 6.5 MW of power generation capacity from Waste Heat Recovery. The management system of Zinc Smelter Debari comprises of: the Quality System ISO 9001:2008, the Environmental System ISO 14001:2004, Occupational Health Safety and Assessment Series OHSAS 18001:2007, Social Accountability SA 8000 – 2008; and is also a 5S Certified unit. The hydrometallurgical smelting process is a roast, leach and electro-winning (RLE) process. In this process zinc concentrate is first oxidized in the roaster and the gases generated are cleaned and sent to the sulphuric acid plant. The primary output from the roaster, called calcine, is sent to the leaching plant to produce a zinc sulphate solution that is then passed through a cold/hot purification process to produce purified zinc sulphate solution. The purified zinc solution then goes through an electrolysis process to produce zinc cathodes. Finally, the zinc cathodes are melted and cast into zinc ingots.